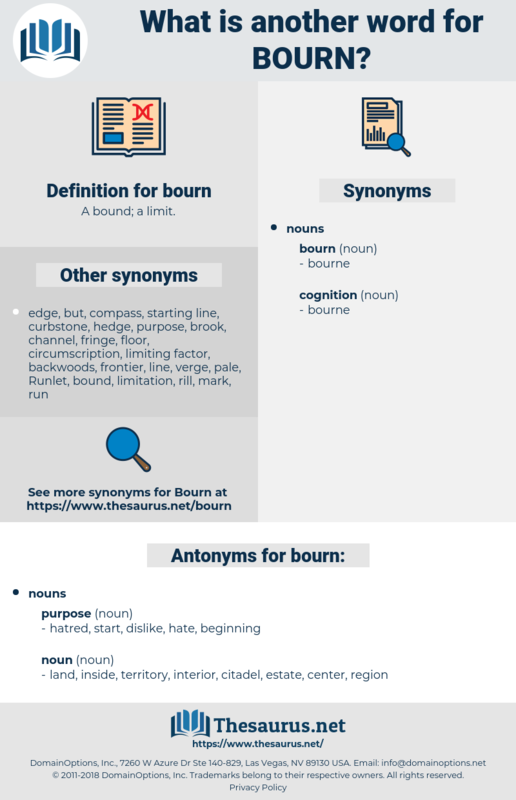 What is another word for bourn? hatred, start, dislike, hate, beginning. land, inside, territory, interior, citadel, estate, center, region. 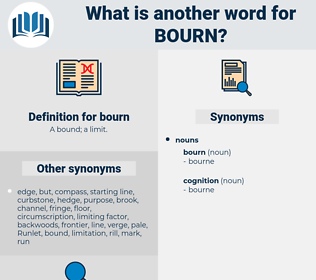 Another authority, Ray, adds to these three more: a Pulborough eel, a Rye herring, and a Bourn wheatear, which, he says, " are the best in their kind, understand it, of those that are taken in this country." According to circumstances it may signify any unknown country, - or that undiscovered country from whose bourn no traveler returns, - or that Fairyland of far - eastern fable, the Realm of Horai.